Travellers heading to Thailand have been warned to use caution. 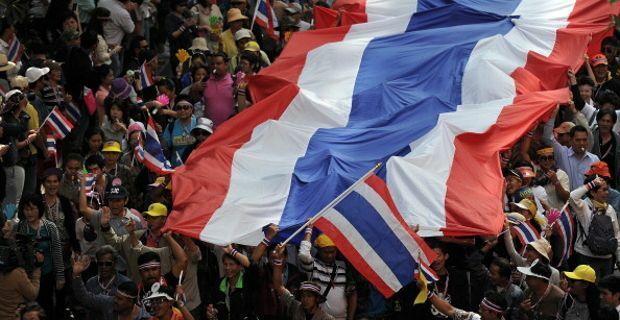 With protests causing gridlocks in Bangkok and reports of shootings, social unrest in Thailand and especially in the capital may get worse ahead of national elections due on February 2. Australian Department of Foreign Affairs and Trade (DFAT) has raised the pre-existing travel warning for Bangkok. In the past weeks there has been an escalation of anti-government protests, and travel experts are particularly concerned about those travelling in Bangkok where protesters occupying a major intersection this week. The demonstrations mostly occurred around the city's commercial centre, but where not limited there: government facilities in provinces outside Bangkok, including in Phuket, were also affected. Experts worldwide warn about a potential escalation of violence in the coming days, especially after the alarming reports of shootings in the capital. Australian travel safety specialist Phil Sylvester warned those visiting Bangkok to always stay cautious and keep their eyes open on their surroundings, and on developments through the local media but also talking to local staff. He also added that, in case one felt uncomfortable with the situations, it would be better to simply steer clear of the capital where unrest in intensified and rather head to the many other locations in Thailand where the situation is much calmer. Unfortunately, it is reported that the think-tank International Crisis Group considers the window for peaceful protest narrowing ahead of general elections. Fr what concerns airport, a major concern for traveller to and from Thailand, according to the Department of Foreign Affairs and Trade, Suvarnabhumi International Airport and Don Mueang Airport are operating normally. However, Thai authorities recommend travellers to allow extra time for travel to the airport. It is advisable to check alternative routes to and from main ports and airports before travelling. Thailand safer for tourists than Europe and the US?